This may come as a surprise to you: Christianity is not an invitation to become a moral person. It is not a program for getting us in line or for reforming society. It has a powerful effect upon our lives, but when transformation comes, it is always the after effect of something else, something at the level of our hearts. 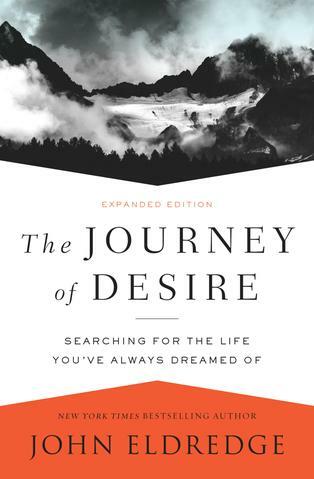 And so at its core, Christianity begins with an invitation to desire. Look again at the way Jesus relates to people. There is the Samaritan woman Jesus meets at the well. She has come alone in the heat of the day to draw water, and they both know why. By coming when the sun is high, she is less likely to run into anyone. You see, her sexual lifestyle has earned her a "reputation." Back in those days, having one partner after another wasn't looked so highly upon. She's on her sixth lover, and so she'd rather bear the scorching rays of the sun than face the searing words of the "decent" women of the town who come at evening to draw water. She succeeds in avoiding the women, but runs into God instead. What does he choose to talk to her about—her immorality? No, he speaks to her about her thirst : "If you knew the generosity of God and who I am, you would be asking me for a drink, and I would give you fresh, living water" (John 4:10 The Message). Remarkable. He doesn't give a little sermon about purity; he doesn't even mention it, except to say that he knows what her life has been like: "You've had five husbands, and the man you're living with now isn't even your husband" (John 4:18 The Message). In other words, now that we both know it, let's talk about your heart's real thirst, since the life you've chosen obviously isn't working. "The water I give will be an artesian spring within, gushing fountains of endless life" (John 4:14 The Message).